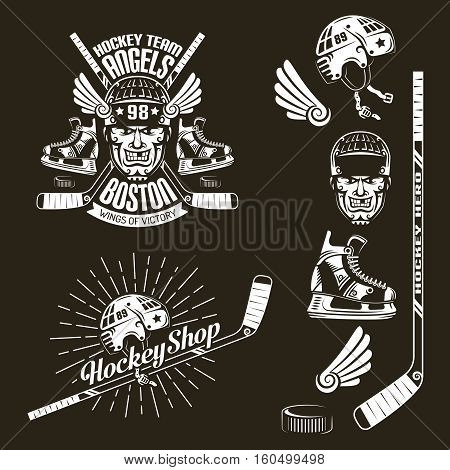 Hockey club emblem with face sticks skates puck. And elements for logo. Vector illustration on a dark background.